"Workin' for the weekend" usually has a negative connotation attached to it, however, this 'weekend', embodied the ideals of giving everything up on the weekend to just have fun. 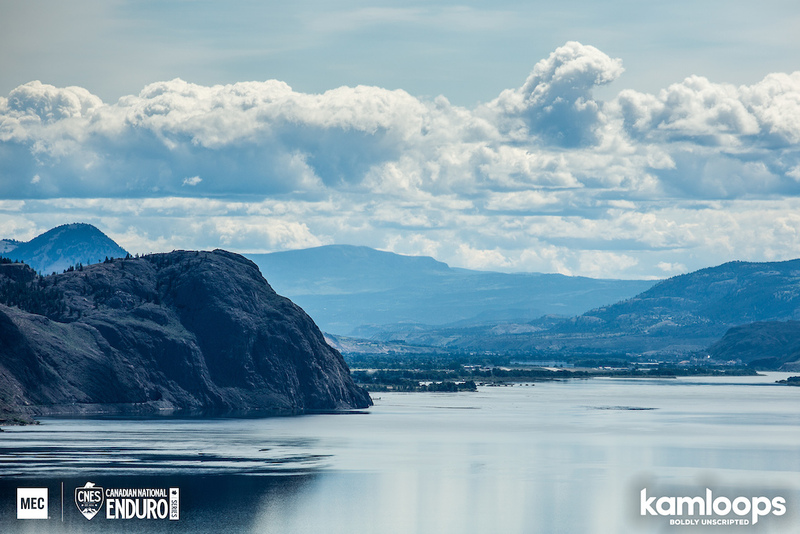 Kamloops is my (the race organizer), hometown, so it's a special event for me. 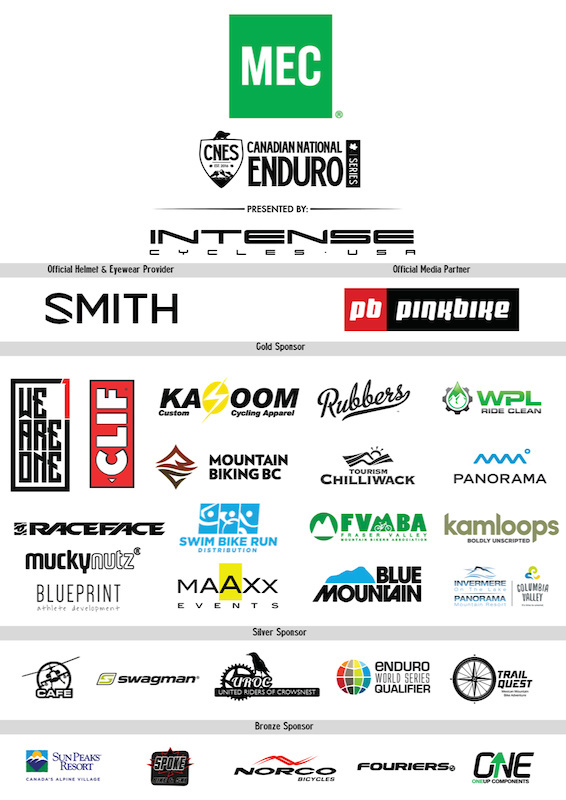 I get to highlight my riding scene, my friends and really welcome everyone from around the country (we had racers from QC, AB, ON, WA, BC, OR, GER, CZH, UK, NZ, AUS etc), to show them why Kamloops is likely one of the rarest riding destinations in the world and my personal favourite! One of the keys to making this event a stand-out is the venue. I owe a huge thank-you to the family owned/operated Harper Mountain Ski Lodge. 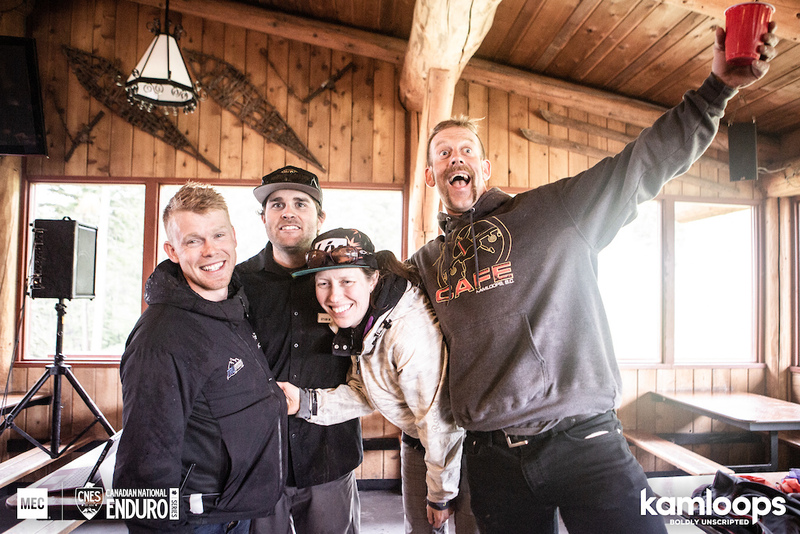 On this 'weekend', they graciously open up their lodge and property for us to camp, ride and grass slalom our way around. 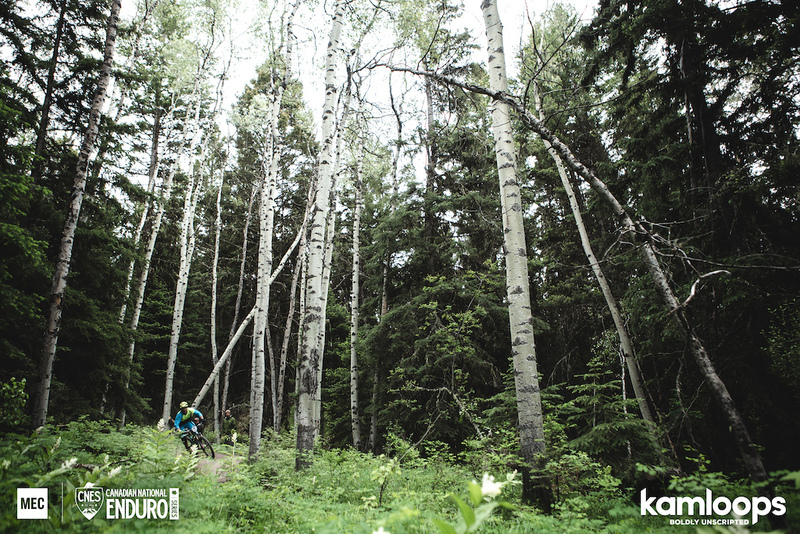 It really is a different atmosphere at the event when you can wake-up on Saturday and Sunday morning, fry up some bacon and roll straight onto the best trails in the Interior of BC! 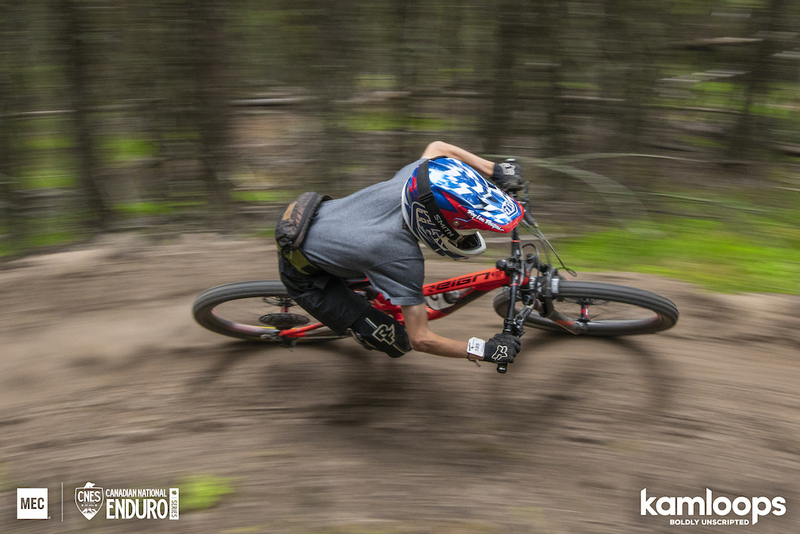 The Kamloops event always surprises riders, the trails are long, with two stages surpassing the 12-15 minute mark for most riders, its no wonder there are many thrills and spills; the trails at Harper mountain are fast, loose and always throw in a bit of that tech/jank when you least expect it. Remi Gauvin was the fastest man of the day, his calm demeanour off the bike is met with an alter ego on the bike and volunteer marshals said they could hear the speed difference before they saw him. His heavy breathing and the sounds his bike made on the ground are key signs that someone fast is coming, he explodes out of every turn. 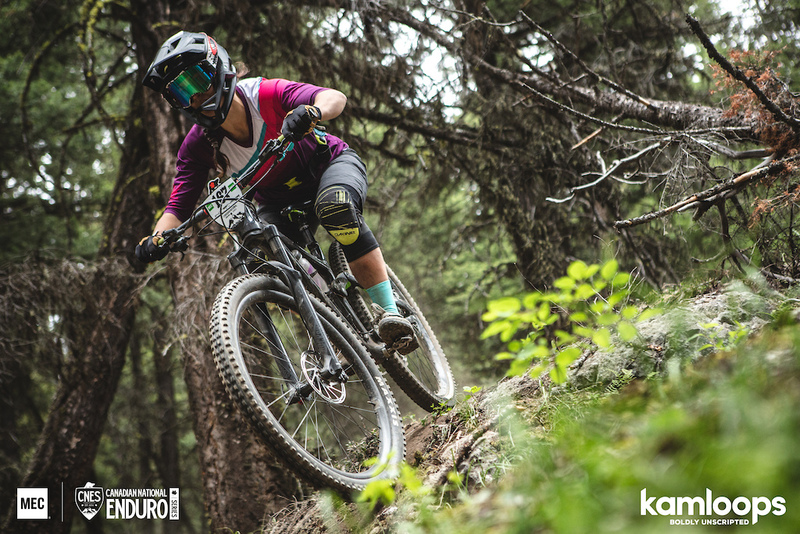 For the Women, it was Jennifer McHugh, the quiet Quebecois, that has been consistently taking over the women's field, and she's likely one of the best all-around riders in that category. We can't forget to mention U15 local Johnny Helly, he was so excited to have his friends chasing him around the mountain! To all the volunteers and locals that pitched in over the weekend, thank-you so much! 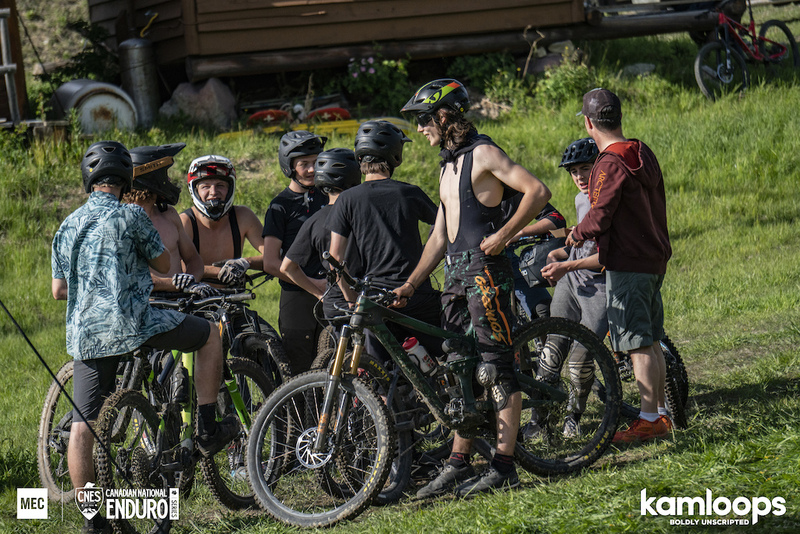 For those that are yet to ride Harper Mountain, just drop what you're doing and come out, give me a call, us Kamloopsian's are known for our hospitality! 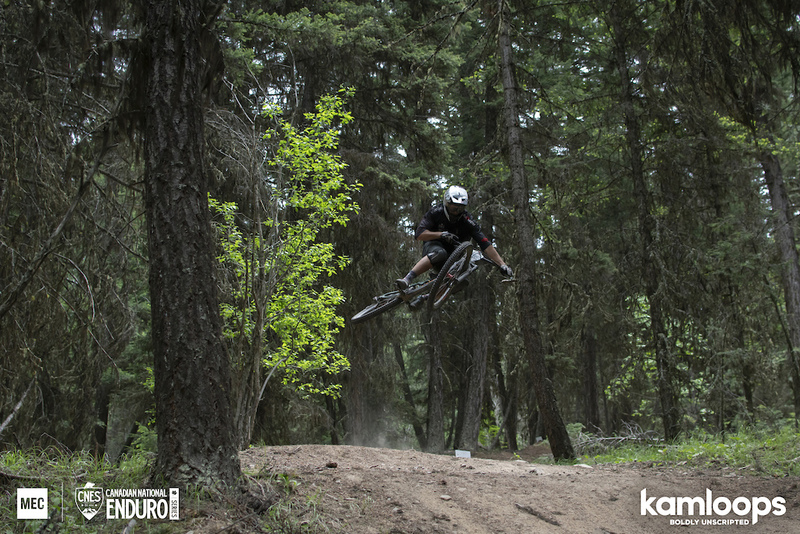 Harper Mountain has been seeing some very interesting updates over the past few years courtesy of the managers at the Kamloops Performance Cycling Centre, namely, Cheryl (and her crew) from the Bicycle Cafe Kamloops. 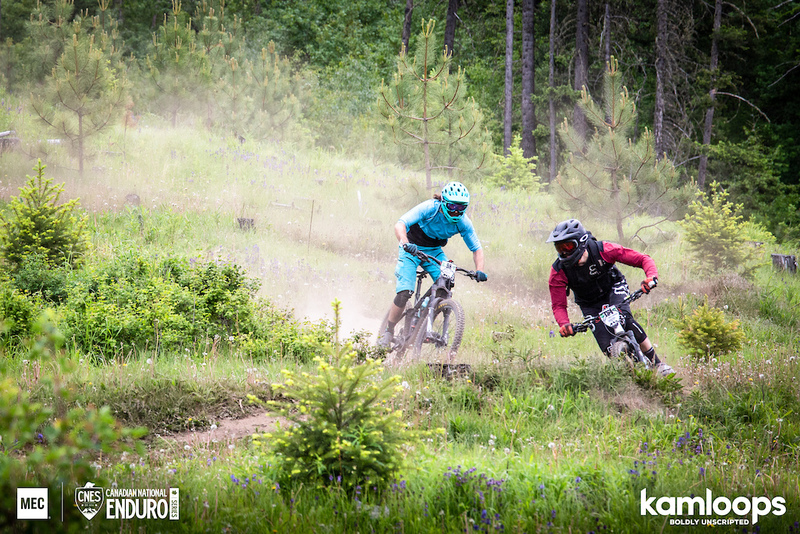 They've truly turned Harper Mountain into a rarity for trail networks, with a beginner/intermediate jump/flow trail to a world-class climbing trail, and two massive hand-built singletracks, this riding destination is a true one-stop shop! 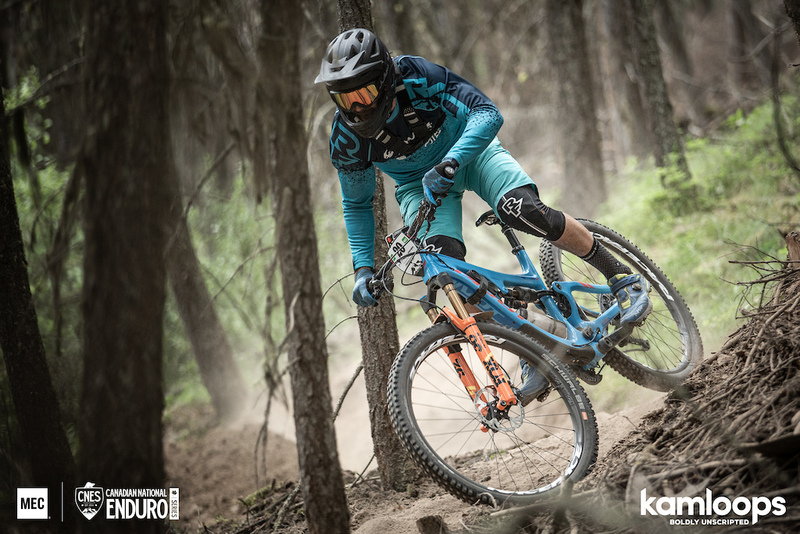 I'd also like to highlight Jordan Proctor, he's a trail wizard, his sight-lines, corners and capacity for absolutely smashing in trail are second to none. 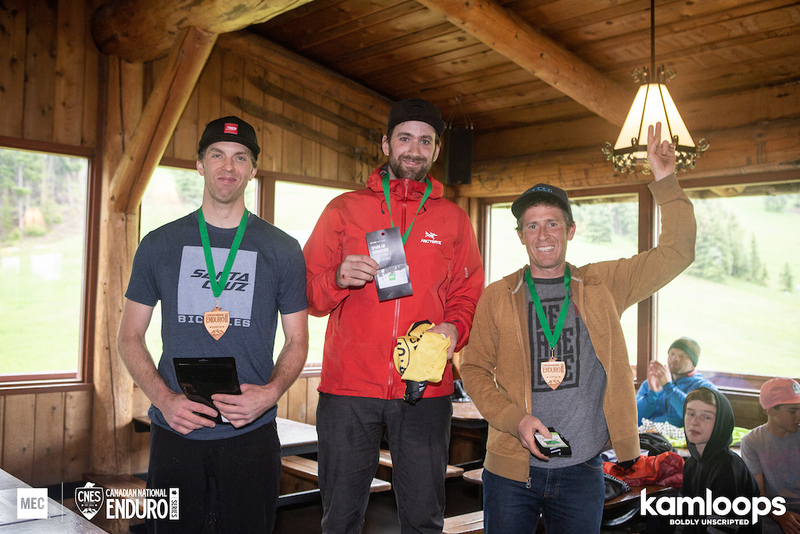 He was up there all spring getting things dialled, so next time you see that Black Chevy with the Roofers Ladder parked on the shuttle road, drop a couple beers in the back, guaranteed they'll magically disappear before your second lap. 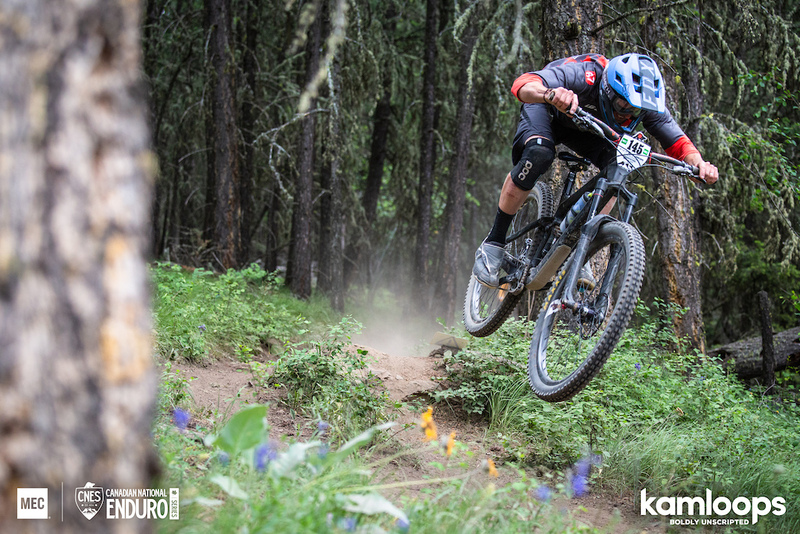 For those who didn't know, at every stop of the Canadian National Enduro Series, we donate a percentage of racer registrations. 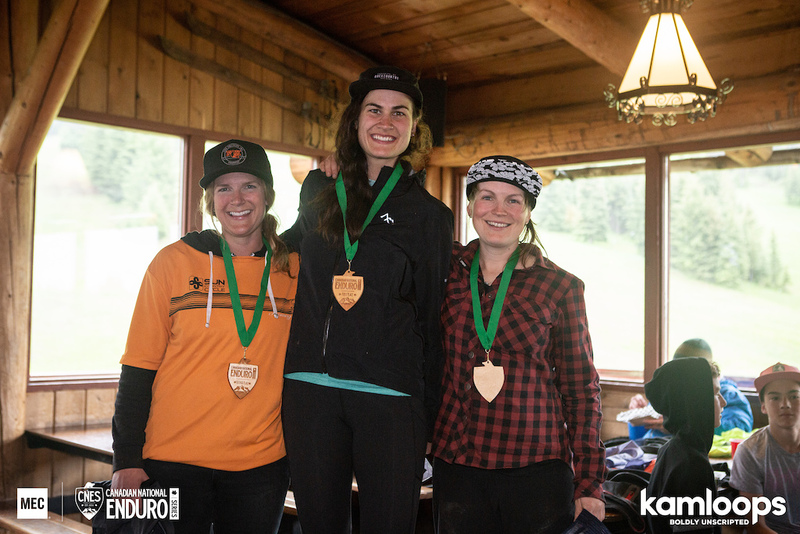 For this race, racers contributed $2822 towards the clubs trail maintenance, and it gets even better, our partner MEC graciously supports our events by matching that donation up to $2000, resulting in a whopping, $4822 of cash going straight back into the dirt! 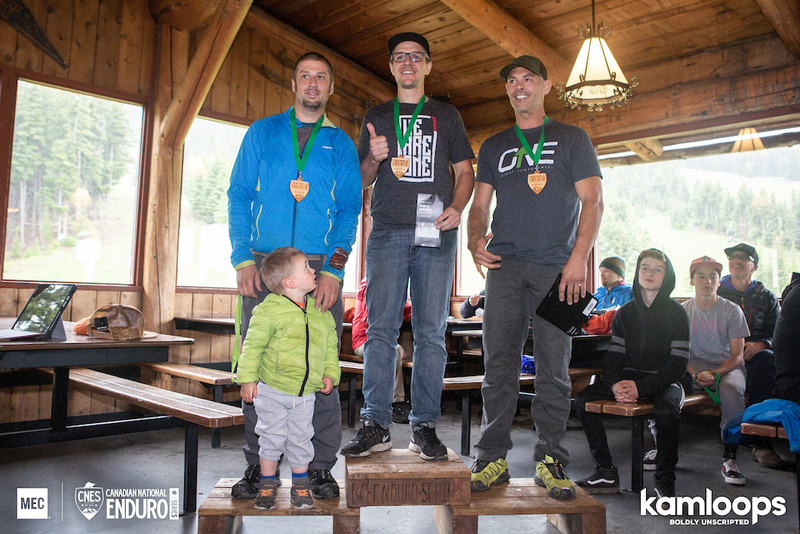 A special thanks to Kamloops Performance Cycling Centre! Paul Lake is at the base of Harper Mountain, it's a short drive from Kamloops downtown and is the perfect escape. Mountains, in the city! It takes a big team to pull off these events. 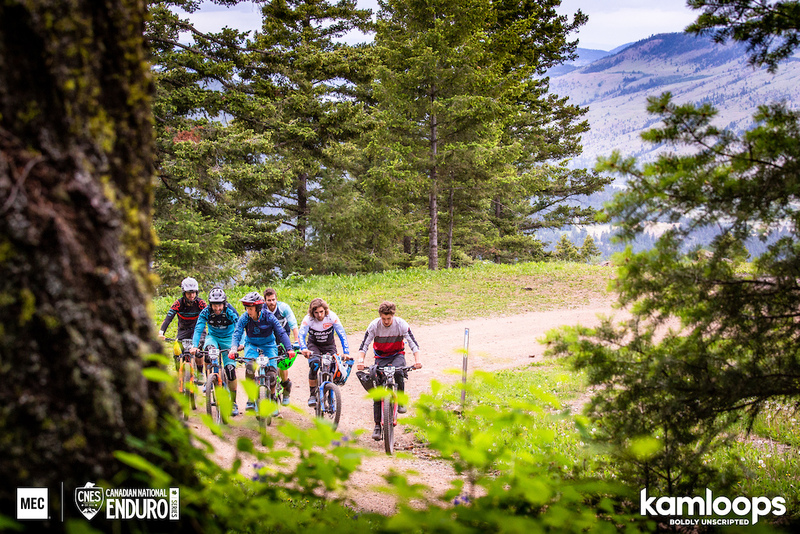 Kamloops is the event that we utilize the largest volume of volunteers. We ensure they stay stoked! Liked the course? 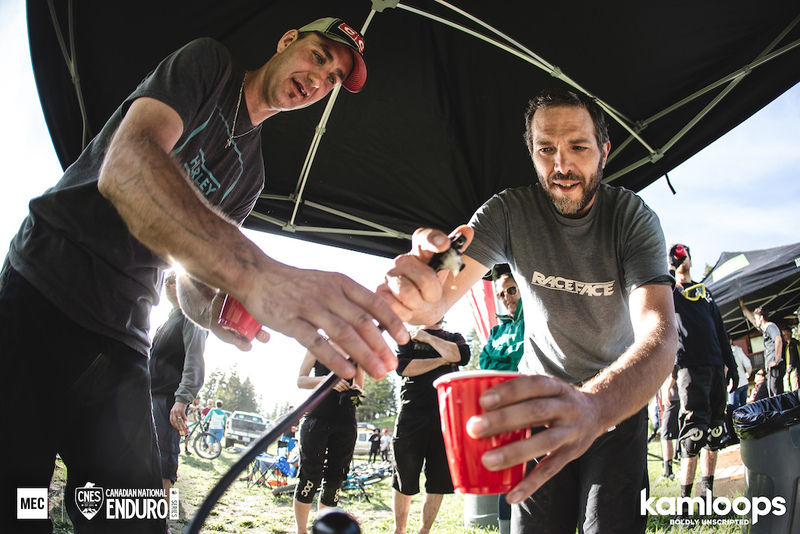 Donate to the Kamloops Performance Cycling Club through Trailforks! How do you tell how gnarly a course is? When the MEC Mechanics are busy from 7:00am-3:00pm. Also, if they're smiling it usually means you messed up your bike really, really good. Mechanics are a weird bunch, they love that stuff. Thanks Cam from MEC for getting people rolling quickly! There's no such thing as fear when you're only 14. Johnny Helly, representing Kamloops and the CNES Development Team. 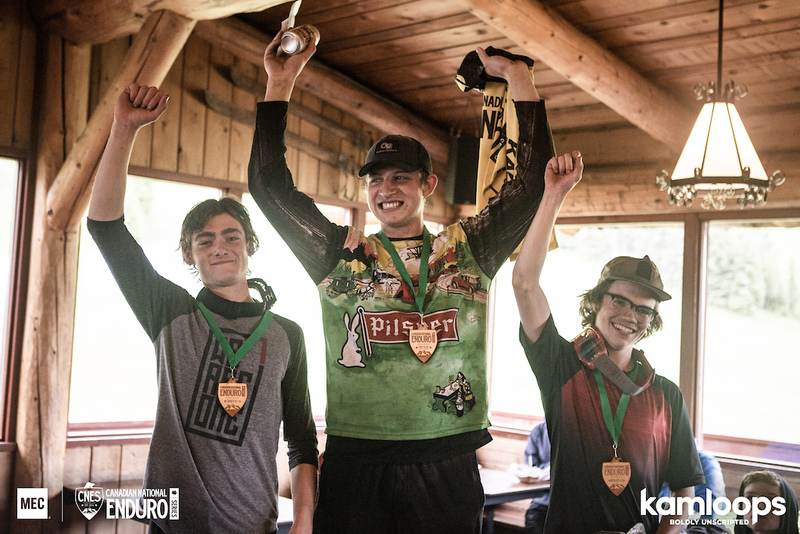 Alex Silverthorne, finally managed to snag the number one spot in the U21 category. He's got double team duties as a member of the CNES Development Team and Team Stoke Manager for Team Pilsner, he's never not smiling, and usually he has his shirt off. Welcome to Alberta. 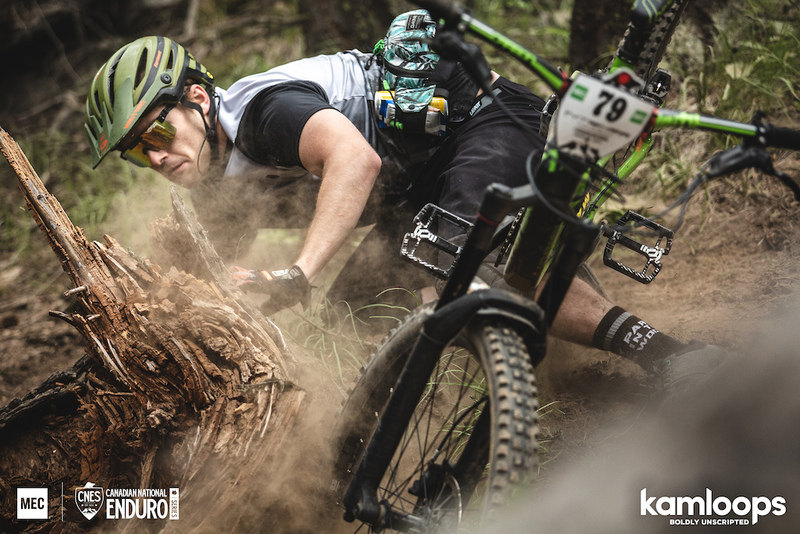 Local Mikey Coulter was looking pinned, catching a rider on the long descent of stage 2. 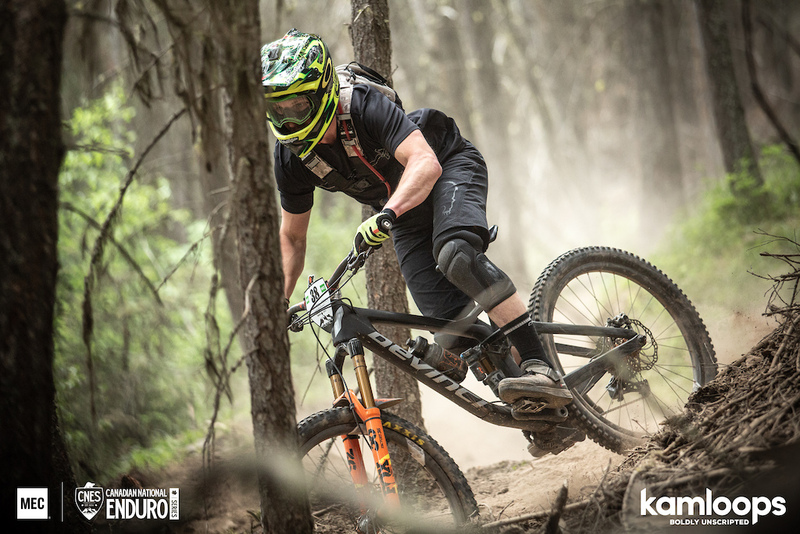 CNES Development Team member, Jacob Tooke, was shattering berms left and right! Angeline McKirdy, poised in the tough stuff, and reckless in the loose stuff. 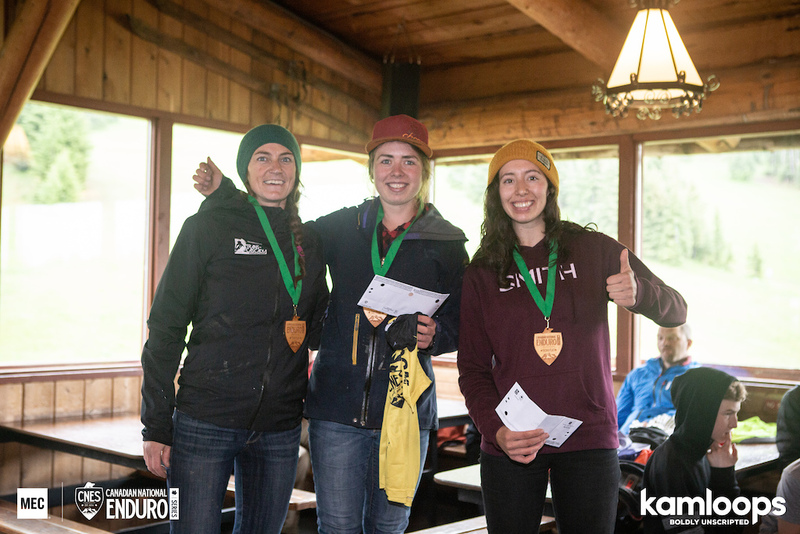 She took home the Open Women's top spot! Jeremy Helly is a local shredder. He's been killing the BC High School XC league, and I owe him and his younger brother a huge thanks for helping to course mark, tear down and always share a laugh! Matt Beer had a wild ride this weekend. He was looking smooth and strong everywhere! James Cattanach is one hell of a race photographer, POD worthy? 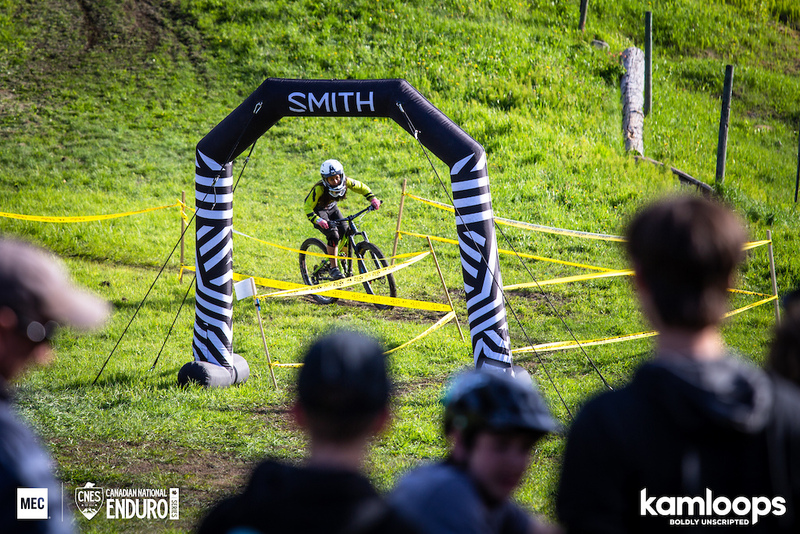 For this event's SMITH Thrills and Spills Stage, we had a Grass Slalom! Split into two events on Saturday night we put up $100 for the fastest time with two prizes of $50.00 going to the second fastest man and woman. 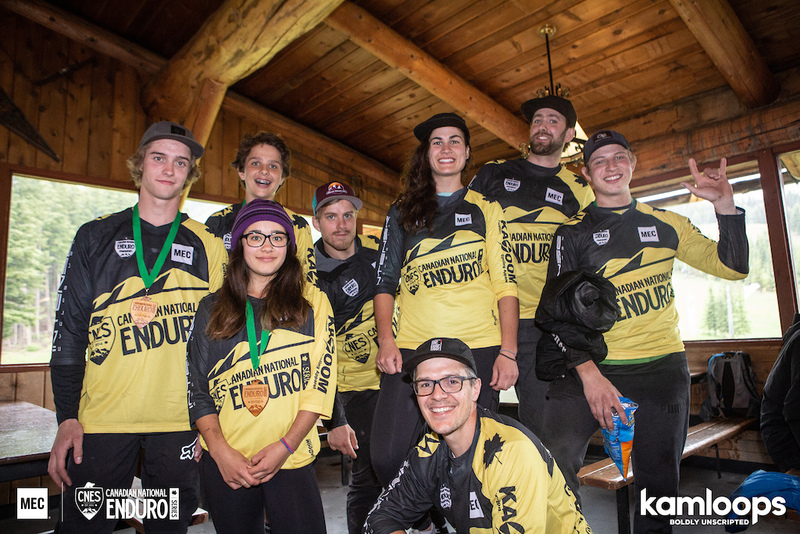 This drew quite a showing, with athletes like Rhys Verner, Remi Gauvin, Evan Wall, Jacob Tooke, Alex Silverthorne, Angeline McKirdy, Vanessa Roeland, Milton McConville and Logan Keen just to name a few. 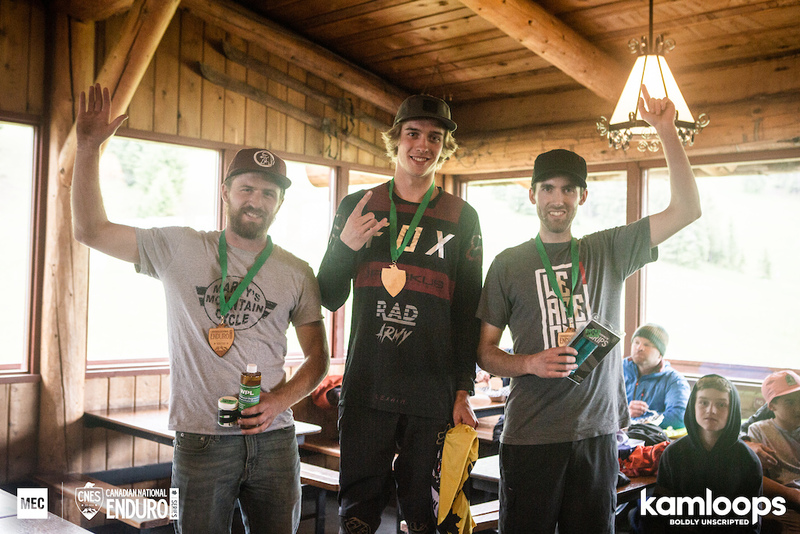 There was a massive tie for second place, as Rhys Verner took the win for the Men. To break the tie, we had them all go again! Jacob Tooke took the second place spot edging Remi out by two seconds. 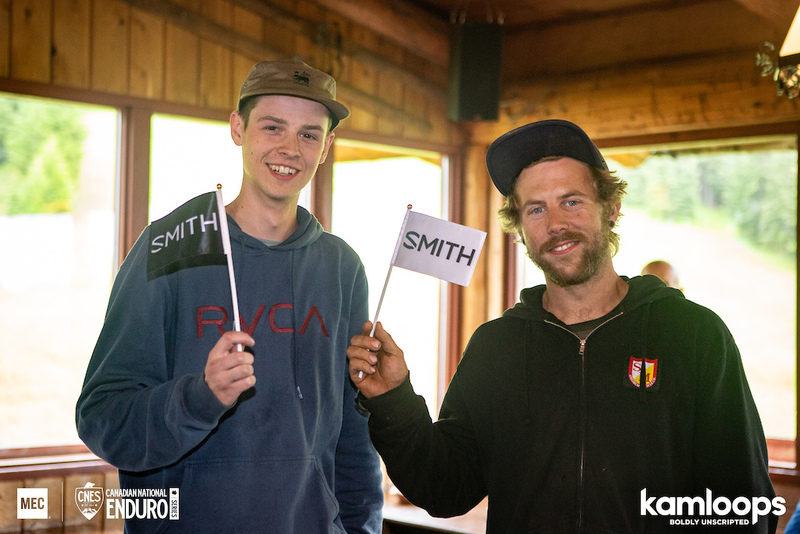 I think Remi let his fellow SMITH teammate off easy, as it was the young-guns birthday. 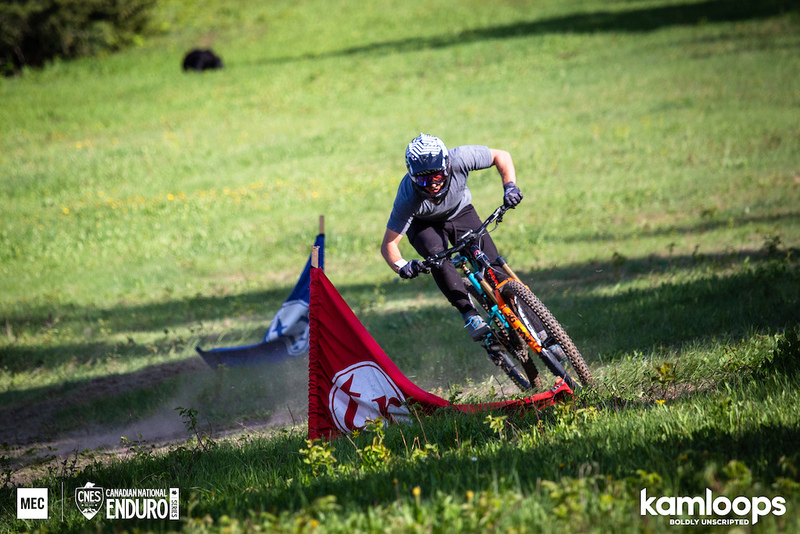 Nah, let's face it, the Canadian Enduro Development Team has been practising grass corners for the last two seasons in preparation for this moment! During the race on Sunday, we had a second challenge on the grass slalom, you had to find a partner and subtract your grass slalom times. Closest to zero wins! There were quite a few zeroes so we gave the prize to the slowest of the crew! You know you're in for a good time when you see these arches! Remi is a beast on a bike, his breathing scares me. 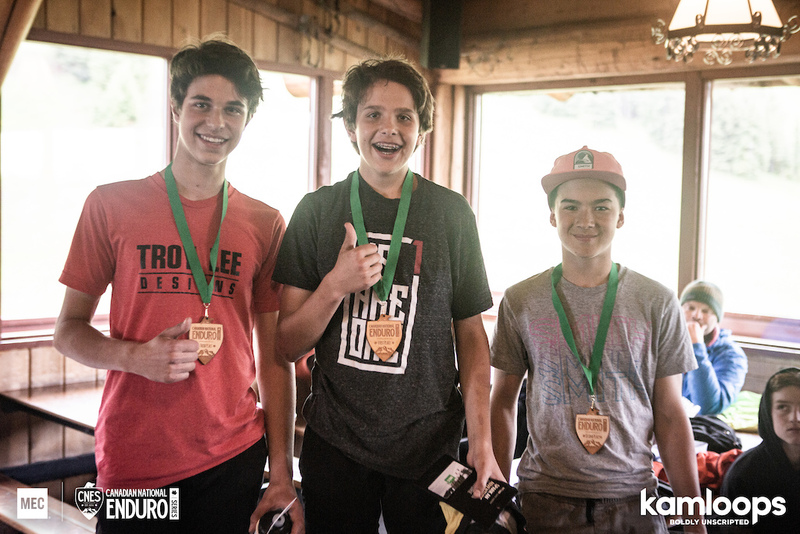 The CNES Development team was on fire for the grass slalom, here Evan Wall, Alex Silverthorne and Logan Keen show what it takes to be a part of Team Pilsner. You can follow their adventures by checking out #ridingwithmillenials. Local celebrity Paul Chapman tucking for speed. I don't know why, but he's yet to post this as his display picture. For all the locals reading this, be sure you give him a comment once he uploads it! 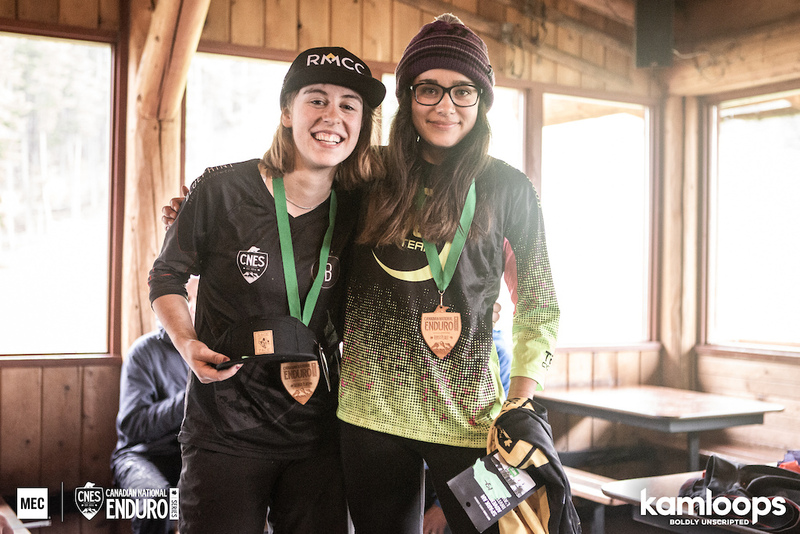 These events are more than just racing, it's about having an adventure with your crew and in some cases, winning some sweet, sweet, prizing! The U21 Squad know how to live it large, many of them have the best sponsors (mom and dad) and they always want to go full-send! I love their chilled out attitude, but I still don't understand their slang and love of weird dance moves. 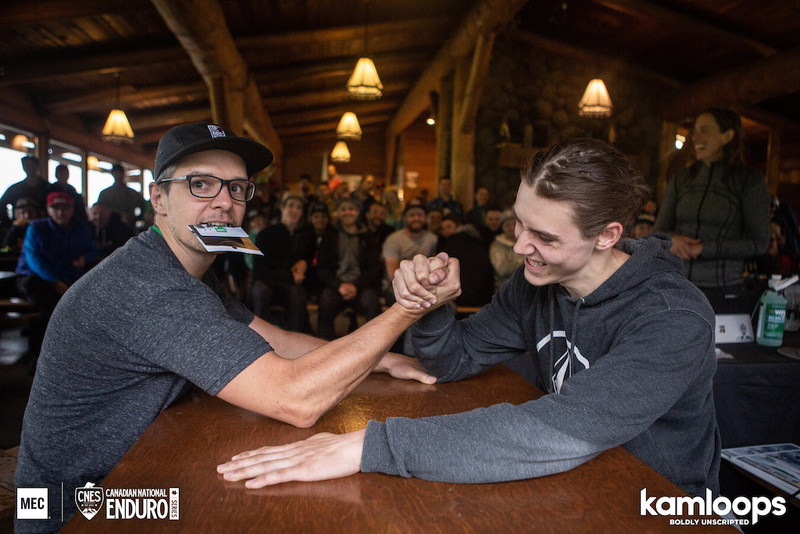 Shane Jensen (left), won a $100 gift card for first place in 40+ Men. He offered it up to the crowd. I made Logan Keen arm wrestle it for him, things got weird, Logan won. 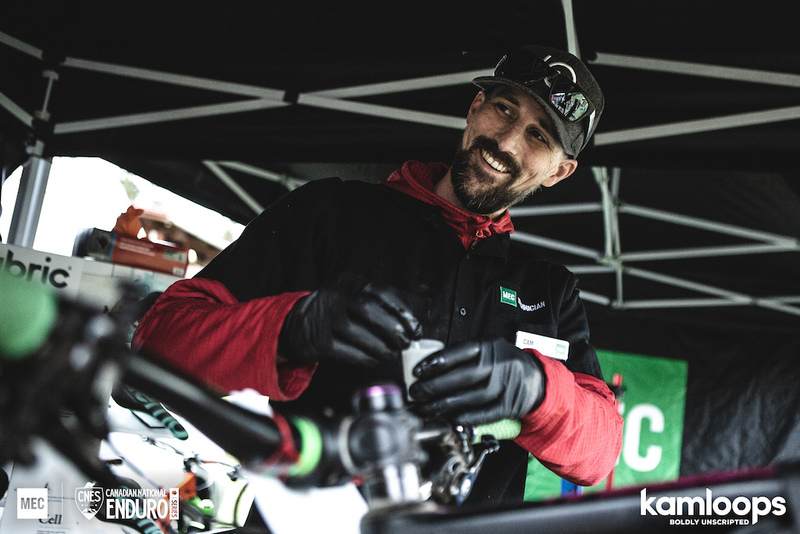 We Are One is located in Kamloops, BC and at every stop of the series we give-away a pair of carbon rims in the We Are One Rim Swap Fiesta to the person who swaps a tire the fastest. 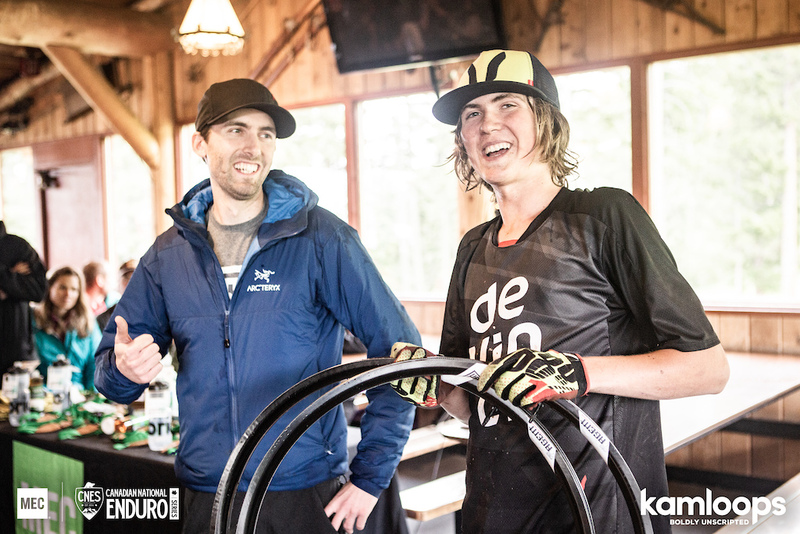 Max Daburger (right), has been practising for weeks in his living room, and it looks to have paid off as he was the fastest rim swapper with a 1:30! Fraser Andrew (We Are One Engineer), was stoked to present the prize to Max! 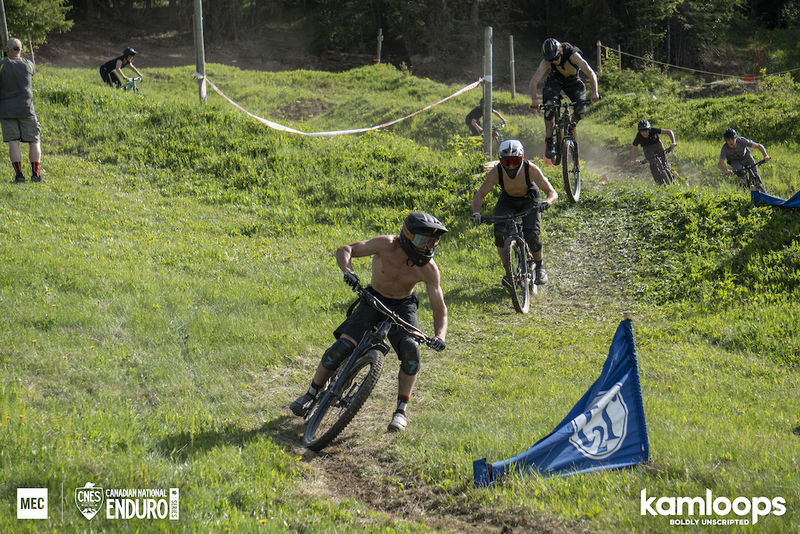 How do you tell who the ex-XC Pro is at an enduro race? He's the only one smiling and chatting on the climbs. 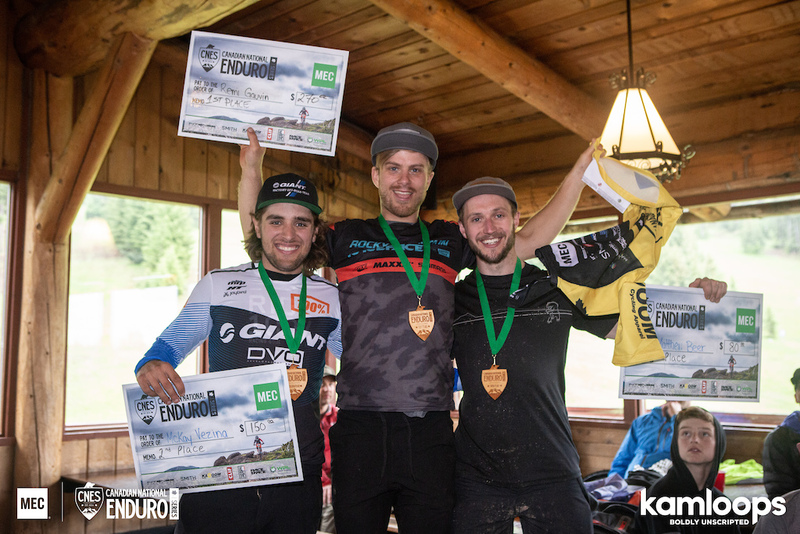 Watch out for Evan Guthrie, he's been making a move to enduro for a few years, and he's no stranger to the podium. Even Pros suffer on the climb. 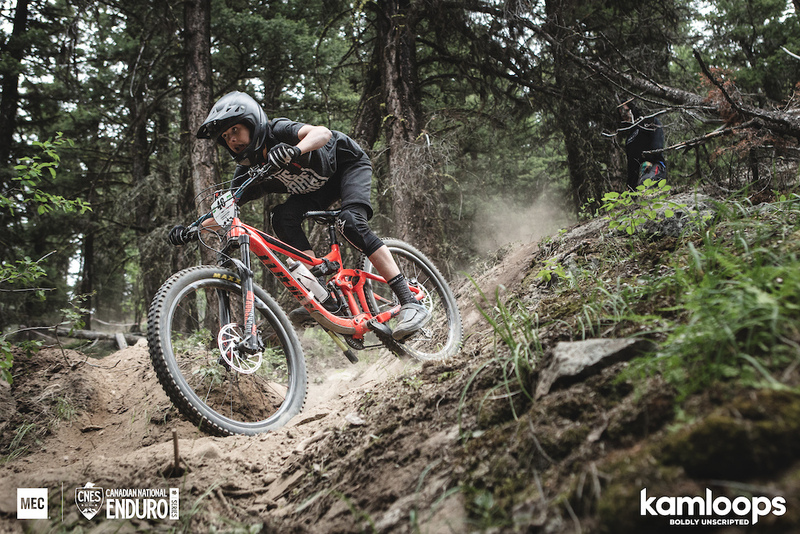 Guthrie, on-point as per usual, just a few seconds off the podium! You can find the full results here. 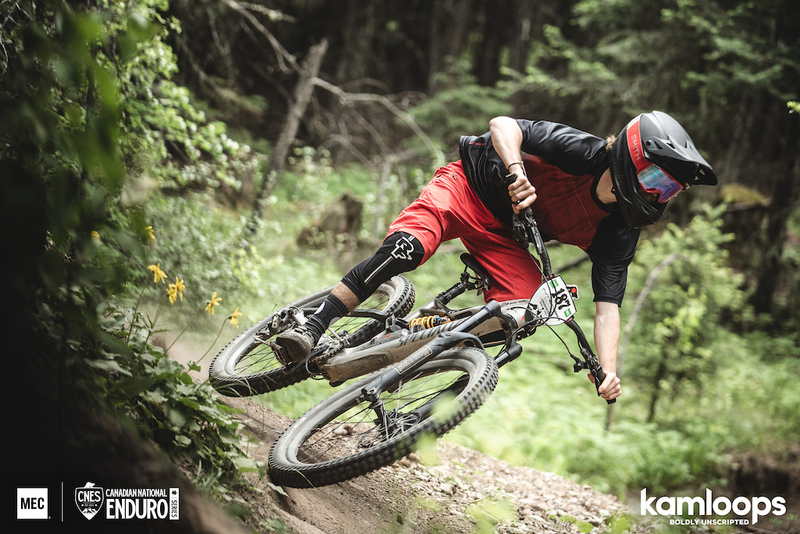 If you're looking for photos, we had the pleasure of having James Cattanach, Sam Egan and Jackson Parker onsite, you can view their photos here on Pinkbike . Thanks to all our volunteers, you are the backbone of the racing community! A massive thank-you to this year's series sponsors and supporters and anyone who volunteered with us and anyone who helped with a shuttle, a beer or a spare tube! The fastest riders always wear yellow, big thanks to Kazoom Custom Cycling Apparel for making some pretty unique jerseys! 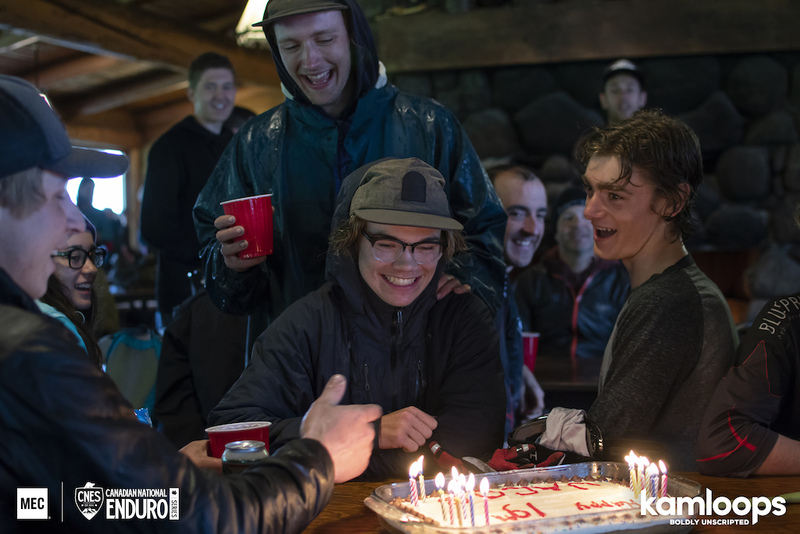 Happy 19th to Jacob Tooke, the rain didn't stop the crew from celebrating! Would you look at that, I made the article. If only it wasn’t cause I crashed hahaha! At least you rocked the fantasy league! @YoungGun13: the sad fact that I’m a better virtual racer than a real one. Looked like an amazing weekend. We look forward to hosting you in approximately 10 days. 10?! F I better start training! Thank you Ted, the volunteers, and Harper Mountain for a great weekend. if you haven't done one of these events, you don't know what you're missing! Excellent weekend. Super high speed trails. It was a ton of fun. Thanks to all the organizers and volunteers. thanks for hosting such a rad event Ted! It was the first time I rode Loops and will be back for sure! good times. Well done Ted- always a good time when you're at the helm.